A Congenital Heart Defect (or CHD) means an abnormality of the heart that is present at birth. 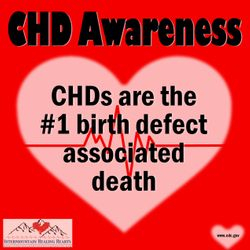 In general, there is no known cause or cure for heart defects. 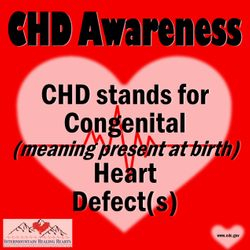 Congenital Heart Defects are the most common type of birth defect, affecting nearly 1 out of every 100 children born in the United States and across the world, and are the leading cause of birth-defect related deaths. 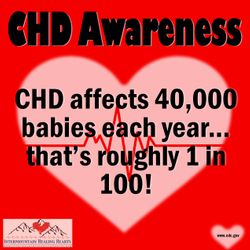 Some CHD's are minor, but approximately 50% will require some sort of invasive procedure (such as open heart surgery). 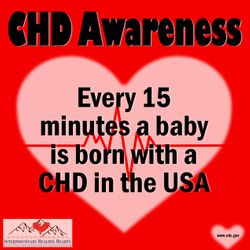 In the United States there are about 1 million children and 1.4 million adults alive today with some form of congenital heart disease. Please feel free to print and use these pass along cards to share facts with others. 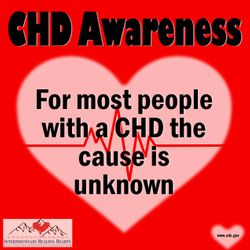 You may also share the below images with family and friends on your social media to help spread CHD Awareness. A majority of IHH members are or have been treated at Primary Children's Hospital, though it is not a requirement to be a member. 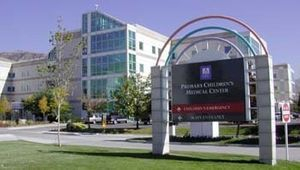 The Heart Center at Primary Children Hospital in Salt Lake City, Utah is the premier provider of cardiac care for children in the Intermountain West, and treats patients from across the country. PCH has a Cardiac Intensive Care Unit (CICU) as well as a portion of the surgical recovery floor exclusively for children with cardiac conditions. There are currently three cardiothoracic heart surgeon's a Primary Children's, and more than 30 cardiologists. 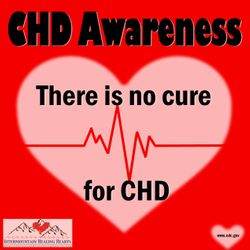 They have outpatient offices at PCH as well as in Riverton, UT with traveling cardiology clinics in Jackson, WY, Pocatello, ID and Idaho Falls, ID. According to the U.S. News and World Report Hospital rankings, the Primary Children's Heart program is ranked #22 in the country.